This past December, I spent a day paging through the Band records kept in the armory. This includes newspaper clippings, letters, programs, Poops, and many other fun pieces of information. I felt inspired to share these fun tidbits with the members, fans, and friends of the Band so that everyone can understand a little bit more fully just how special the Band truly is. In 1936, the Band was reformed by the newly created “Friends of the Princeton Band” society that decided to fund the band solely on the premise that “you’ll have to show… you’re worth the expense by working on the musical end. If you prove your ability, Princeton will have a great band. Otherwise we alumni will withdraw our support and then you’ll be back where you started!” (The Prince, April 16, 1935). In addition, “Next year a definite search for talent will begin, and a standard of ability will be established” (The Prince, March 25, 1936). The Band was to become exclusive in an attempt for “the noise it does make to bear more capably the name of music” (The Prince, March 25, 1936). The Band started to sound good and warrant positive reviews from The Prince and even included “appropriate dramatics by Fred Fox ’39, who wore a realistic Tiger skin about his person” and “timely discords (intentional)”. In a later article, another priceless quote states “That day in 1935 on which the University Band started a campaign to bring its standards up to that of the football team, may be called both an ominous and joyful one for Old Nassau.” Perhaps this foreshadows the later hi-jinks for which the Band had come to be known. 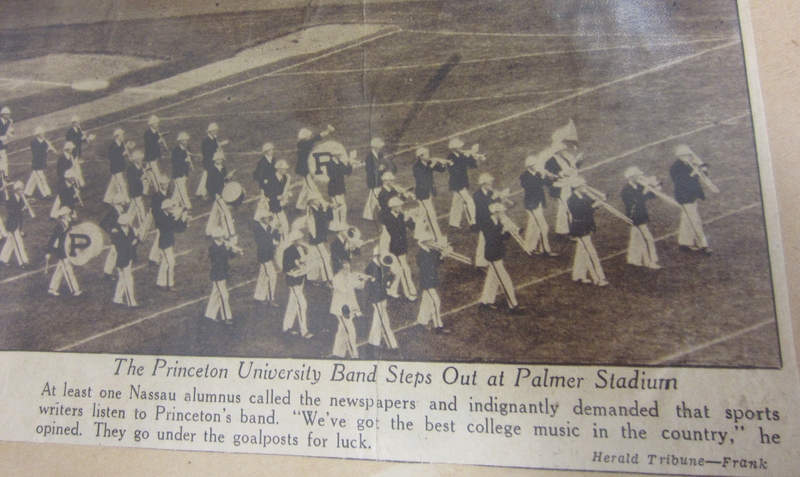 Back in 1939, Temple H. Fielding ’39, Leader of the PUB, writes “The primary interest of the Princeton Band is music. Its musical director, Bob Davidson ’40, has as his sole purpose in life the teaching of ninety men to play together—a Herculean task with these particular ninety men. Everyone must get his attack, his retard, or his single, right on the nose, for if there is one slip the whole effect is ruined. This means four hard rehearsals each week.” Can you imagine having those standards today? In addition, the Band had rather complicated dot-based formations based on a master sketch drawn on graph paper. 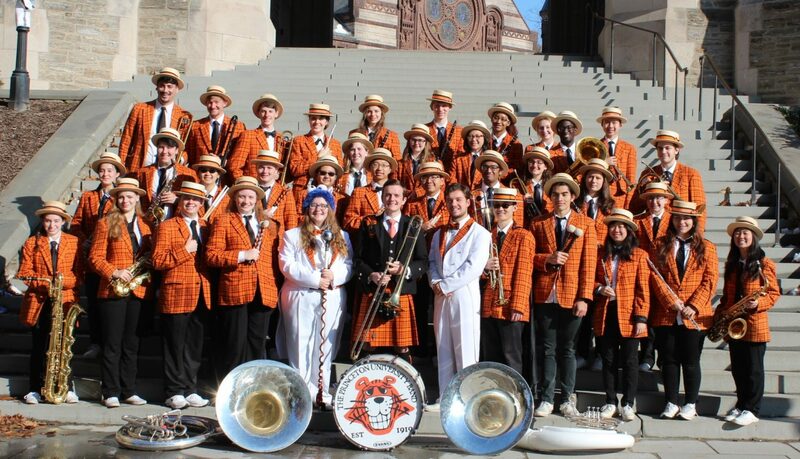 The article ends with the following paragraph: “This Princeton Band, although it works overtime, has fun because it’s fun to work in any activity where the cooperation and interest is so intense. 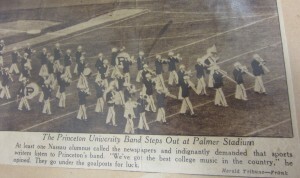 The organization is determined to be one of the best in the land, and hopes that the time is not far distant when it may merit that claim.” And although the Band may not have achieved that goal in the sense intended by Fielding, I definitely think that the Princeton University Band is the best at what we have decided to become. Tune in next month for more fun facts!